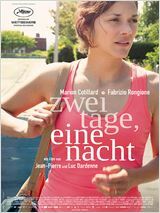 Synopsis In the Bélier family, everyone is deaf except sixteen-year-old Paula. She is an indispensable interpreter for her parents in the daily running of the family farm and the selling of their homemade cheeses at the market. 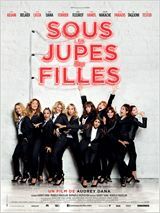 One day, encouraged by her music teacher, who has discovered her gift for singing, Paula decides to prepare for auditions for a singing course at Radio France in Paris. This choice means leaving her family and taking her first inevitable steps toward adult life. More like the press. 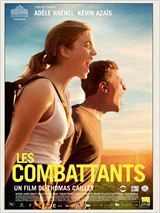 A gentle romantic comedy saved by Benoît Poelvoorde's always excellent acting. Synopsis In a French provincial town, Marc encounters Sylvie one night, when he misses his train back to Paris. They wander through the streets until morning, immediately at ease, on the same wavelength, speaking about everything except themselves. 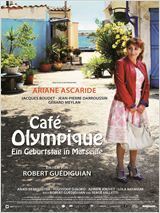 When Marc gets the first train to Paris the following day, he asks Sylvie to come and meet him there a few days later. They know nothing about each other. Sylvie turns up for their rendezvous, but Marc unfortunately doesn't make it. 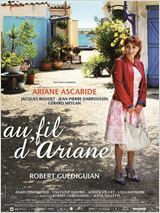 He tries to find Sylvie, and in the process, encounters another woman, Sophie, unaware that she is Sylvie's sister. 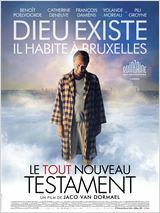 The Dardenne Bros again deal with the lives of the working class. Sometimes a bit slow but a good solid film about money vs loyalty. Für Sandra (Marion Cotillard) steht ihr Job in einer kleinen Firma auf dem Spiel: Es gab eine Abstimmung, bei der sich die Mitarbeiter entscheiden mussten, ob sie für den Erhalt von Sandras Job auf ihre jährliche Bonuszahlung verzichten oder nicht. Das erste Votum fiel zu Ungunsten der Familienmutter aus, aber die Geschäftsführung erklärt sich bereit, die Abstimmung wiederholen zu lassen. Nun bleibt ihr ein Wochenende Zeit, ihre Kollegen davon zu überzeugen, auf die Prämie von 1000 Euro zu verzichten: Sandra sucht das Gespräch mit jedem einzelnen von ihnen. Die meisten stecken allerdings selbst in einem Dilemma, sind sie doch auf die Zahlung angewiesen, um ihre Mieten zu zahlen und die Kinder zur Schule zu schicken. Wird die junge Frau es mit der Unterstützung ihres Ehemanns Manu (Fabrizio Rongione) noch schaffen, einen Umschwung herbeizuführen und damit ihre Existenz zu sichern? 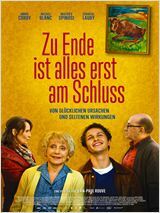 Synopsis Sandra, helped by her husband, has only one weekend to go and see her colleagues and convince them to give up their bonuses so that she can hold on to her job. Overall excellent though the start takes too long to show how uncontrollable the students can be. Synopsis Based on a true story. At the Lycée Léon Blum in Créteil, on the outskirts of Paris, a teacher decides to make her weakest 10th grade class sit a national history exam. The students will be transformed by this experience. A light film but curiosity at what will happen keeps it moving along. We're more in agreement with the press than the spectators. While there's certainly something worth watching in this film, it just moves too slowly. Not recommended for Cine-Club. 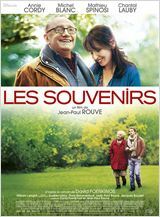 Synopsis For 16-year-old Marieme, life is like a succession of prohibitions. The neighbourhood's censorship, boys ruling the roost, school's dead end. Her encounter with three liberated girls changes everything. They dance, fight back, talk loudly, laugh at everything. Marieme becomes Vic and joins the gang, to make the most of her youth. Not always easy watching but very moving. 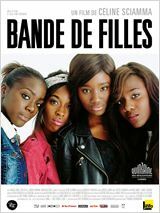 Synopsis This story is based on real events which took place in France at the end of the 19th century. Marie Heurtin was born deaf and blind in 1885. 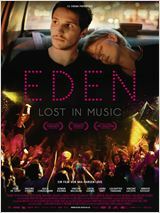 The film finds her when she is 14 years old, unable to communicate. Her father, a modest craftsman, can't bring himself to have her confined to an asylum, as a doctor advises him to do, deeming the girl "retarded." In desperation, he goes to an institution in Lamay, near Poitiers, where nuns take care of deaf girls. Despite the Mother Superior's scepticism, a young nun, Sister Marguerite, devotes herself to looking after the "little wild animal" that Marie is and strives to enable her to exit from the night in which she lives. Sometimes a bit weird and even shocking. Seeing Romain Duris in this role is casting very much against type. 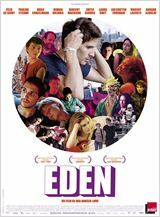 Synopsis Childhood best friends Claire and Laura are utterly inseparable, so it comes as a particularly devastating blow when Laura becomes ill and dies, leaving her husband, David, to raise their newborn daughter Lucie by himself. As she stops by the house one afternoon, door unlocked, she find a strange woman holding Lucie, who, on closer inspection, turns out to be David in a blonde wig and one of Laura's dresses. Well worth seeing but won't be popular with relgious extremists! The star is really the young Pili Groyne playing God's 10 year old daughter. Synopsis "God exists. He lives in Brussels. He's horrible to his wife and daughter. A lot's been said about his son, but almost nothing about his daughter. That's me; I'm his daughter. I'm called Ea and I'm ten years old. To take revenge, I've sent out text messages letting everyone know the dates they're going to die." Definitely for an older audience. Well done and nice to see the famous Belgian singer and actress Annie Cordy acting away at the age of 86. It does however have its slow moments through lack of obvious plot. Synopsis Romain is twenty-three years old. He'd like to be a writer, but, for the moment, he's night watchman in a hotel. Not our kind of film but it has won 9 awards and has had 9 nominations and has been well rated by audiences, so we will be showing it. Synopsis Between his buddies and the family firm, Arnaud's summer is shaping up to be peaceful... Peaceful until his encounter with Madeleine, as beautiful as she is a pain, a block of tense muscles and catastrophic prophecies. He expects nothing; she's preparing for the worst. He lets himself be carried along, laughs a lot. She struggles, runs, swims, hones herself. Just how far will he follow her, when she's asked nothing of him? It's a love story. Or a story of survival. Or both. We found it disappointing. 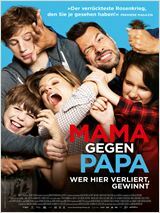 A very black comedy and good for those who are sick of their children. The Filmkreis should see what they think. Synopsis Florence and Vincent Leroy are a model couple. They have great jobs, a perfect marriage and delightful children. And now they want their divorce to be an equal success. But when they are both simultaneously promoted to their dream jobs, their relationship becomes a nightmare. From that moment on, the gloves are off, the two exes declare war and will do everything in their power to NOT have custody of their children. A good idea but the parallel of the new neighbours to Flaubert's Gemma Bovery doesn't go anywhere. Perhaps Flaubert fans may get more out of it. 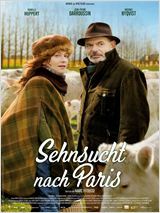 Synopsis Martin is a former Parisian bourgeois-bohemian, who has now become (mainly of his own volition) a baker in a Normandy village. All that remains of his youthful ambitions are a powerful imagination and a vivid passion for great literature, in particular that of Gustave Flaubert. We imagine his emotional state when a young English couple, with strangely familiar names, take up residence in a small neighbouring farm. Not only are the newcomers called Gemma and Charles Bovery, but their behaviour seems to be inspired by Flaubert's heroes. For the creator slumbering within Martin, the opportunity to shape - apart from his daily bread - the destinies of flesh and blood characters is too good to miss. 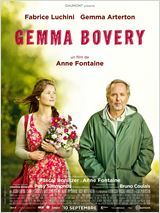 But pretty Gemma Bovery has not read the classics, and she fully intends living her own life. Some good ideas and wonderful scenes but the women in control idea doesn't fill 1hr34min. Synopsis In the Democratic and Popular Republic of Bubunne, women have the power, they rule and fight wars, while men wear headscarves and look after the home. 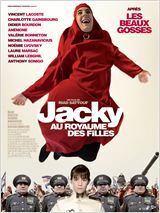 Among them, Jacky a twenty-year-old male, has the same impossible fantasy as all the rest of the single men in his country: to marry the Colonel, the dictator's daughter, and have lots of baby girls with her. But when the General at last decides to organize a great ball to find a husband for her daughter, things get worse for Jacky: mistreated by his family-in-law, he watches his dream slowly slip out of reach. Not bad but not memorable. Synopsis Brigitte and Xavier farm cattle in Normandy. Brigitte's a dreamer, with her head in the clouds, whereas Xavier's feet are firmly on the ground and his main focus is his work. Now that their children have left home, the couple's routine life increasingly weighs Brigitte down. One day, in a moment's madness, she leaves the fields behind and heads for Paris. Xavier then realizes that he is perhaps going to lose her. Will they manage to get back together? And how does one reinvent oneself after so many years? To regain your wife's affections, you sometimes have to take a crooked path. Drags on, wishy-washy story line. Definitely not for prudes. Not recommended. Paris: Die freiheitsliebende Jo (Audrey Dana) hat eine Affäre mit einem verheirateten Mann, der bei ihr einziehen will, nachdem seine Frau hinter das Techtelmechtel gekommen ist. Rose (Vanessa Paradis) ist ambitioniert und macht Karriere in einer millionenschweren Firma, hat aber keine einzige Freundin. 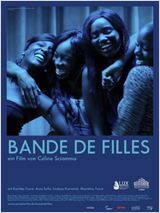 Ihre junge Assistentin Adeline (Alice Belaïdi) soll ihr helfen, eine zu finden. 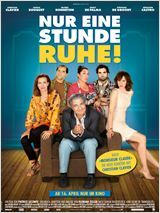 Ysis (Géraldine Nakache) ist verheiratet, hat vier Söhne - und ist in ihre Babysitterin Marie (Alice Taglioni) verliebt. 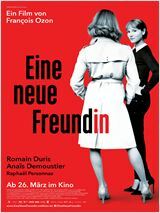 Die Romantikerin Agathe (Laetitia Casta) wiederum gerät immer wieder in peinliche Situationen, weil sie Probleme mit der Verdauung hat, Sam (Sylvie Testud) schließlich erhält eine schlechte Nachricht, während ihre Schwester Lili (Isabelle Adjani) generell unzufrieden ist. Synopsis Paris, the 28 first days of spring. 11 women. Mothers, businesswomen, friends, single or married... they all represent a facet of today's woman: a paradoxical, totally disorientated, but definitively vivacious creature. Joyful, explosive, insolent, surprising, complex, neurotic, jealous... all simply WOMEN! Moves very slowly and improvisation style of lines gives it a very vague feel. Probably best appreciated by House music fans. Synopsis In the 1990s, Paul gets his first taste of the world of Parisian nightlife. Mad about music, he creates a DJ duo, "Cheers," with his best friend. They rapidly find a fanbase and experience giddy, euphoric, dangerous, and ephemeral success as they rise in the House music world. Caught up in his passion, Paul forgets to construct his life. Much better than the Allocine rating indicates. A French farce, adapted from the stage play, as light as a soufflé, with enough humour to keep interest right through. The Britannica, defines a farce as “a comic dramatic piece that uses highly improbable situations, stereotyped characters, extravagant exaggeration, and violent horseplay.“ If you're looking for something amusing that won't strain the brain, then this is it. Synopsis Michel, who's crazy about jazz, has just found a rare album that he dreams of quietly listening to in his living room. But the world seems to have conspired against him: his wife chooses this moment to divulge an ill-timed revelation, his adult son makes a surprise visit, one of his friends knocks on the door, while his mother keeps calling him on his smartphone. Not to mention that today the residents in his apartment building are holding their annual House Party. Manipulative and a liar, Michel is ready to do anything to have a moment of peace and quiet. Is it still possible, in this day and age, to just have one hour of peace? Synopsis A remake of the 1977 film of the same name ("Aller Anfang macht Spaß”). Maybe next season after we've seen it. It sounds good. We haven't seen it but suggest to schedule it. 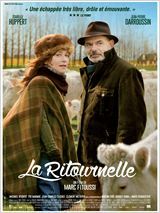 In any case Catherine Frot is an excellent actrice. 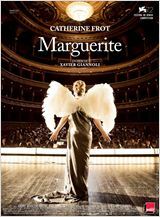 Synopsis Paris in the 20's, Marguerite Dumont is a wealthy woman passionate about music and opera. For years she sang regularly before her circle of regulars. But Marguerite tragically sings out of tune and no one has ever told her. Her husband and his family have always let her live her in her dream world. Everything becomes complicated the day she decides she has to perform before a live audience at the Opera. Based on the American opera singer Florence Foster Jenkins (July 1868 – Nov. 1944) who sang out of tune and rhythm to only invited audiences. Her only public performance, a month before her death, was in Carnegie Hall. It was sold out and attended by many celebrities. Not surprisingly, the critics were savage which undoubtedly contributed to her heart attack the next day.